We are known within New Haven county and most of Connecticut as the “go-to” dentist office for patients desiring sedation for dental treatment. 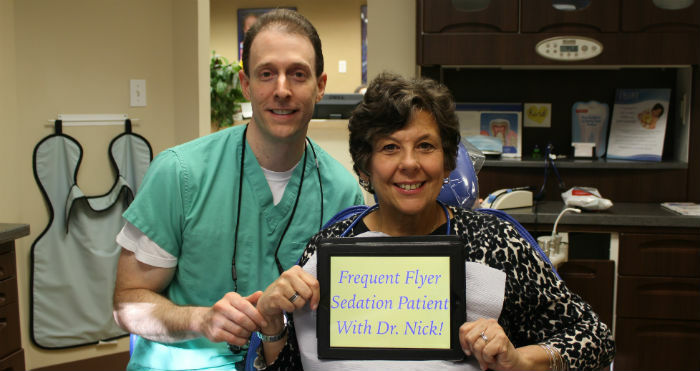 Patients seek us out because of our extensive experience treating fearful patients and the fact that Dr. Nick Calcaterra is one of only a few general dentists in Connecticut with the license to provide IV sedation. As a result, we’ve had the privilege of treating literally thousands of patients who are anxious, fearful, or downright terrified of the dentist! In each and every one of our consults, we always strive to learn WHY each patient is fearful. By understanding these important factors, we are able to customize our approach and ensure our patients are always comfortable. You Had a Negative Childhood Experience – this is by far the number one reason. A single negative experience at the dentist occurs when you are a child. That recollection is then “imprinted” on your young mind and then a lifelong fear develops. You are Afraid of Needles – this is quite common (and is called trypanophobia). Many of our patients are terrified of needles. Some people have 20 tatoos but are mortified of a needle in their mouth. That’s OK! With sedation, you will be so relaxed and out of it you won’t even know we are giving you the “novocaine.” And if you are scared of the IV, we can give you pills or nitrous oxide to allow us to start it. And then from there, the IV medications will dissolve any fears left! You Have Difficulty Getting Numb – this is an unfortunate circumstance. You may have red hair. Your anatomy may be unique. 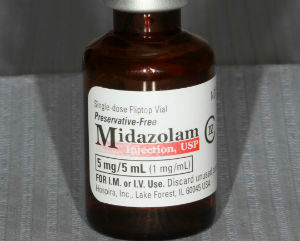 Regardless of the origin, sedation, along with Dr. Nick’s expertise in local anesthesia techniques, can get you numb and get your procedures done. You Have a Bad Gag Reflex – you may not be scared, but the moment an instrument goes anywhere near your back teeth, you nearly vomit. When you are sedated, those reflexes relax, and we are able to do procedures on all teeth with you completely comfortable. You are Scared of Certain Procedures – you may be OK with cleanings and simple fillings, but the thought of a root canal or tooth extraction makes you shudder in fear. There’s nothing to be ashamed of. We use twilight anesthesia on patients like you all the time for those procedures. No joke. Joanne, who comes from Bridgeport to see us, is scared of anything other than regular cleanings. We’ve sedated her once in 2013, once in 2014, again in 2015, and is scheduled again for early 2017. You Get “Claustrophobic” with Hands in your Mouth – this is more common than you think. Having 3 hands, a mirror, a drill going at 500,000 RPM spraying water, and a suction device stronger than a Dyson vacuum cleaner in your mouth may make you very nervous. The Smell Makes you Nauseous – some smells can provoke anxiety – and the smell of a dental office (or medical office) can do just that. You Have No Time and Need a lot of Dentistry – we’ve had a lot of patients who haven’t been to the dentist in over ten years and needed a LOT of work. This may apply to you. If yes, sedation can allow us to provide years worth of dentistry in 1 or 2 visits as opposed to ten or more. Your Teeth are Super Sensitive – your teeth are super sensitive and even a cleaning is uncomfortable. You just wish someone could “turn off” your teeth for 2 hours while you get your dental treatment done. Well, we can do just that, and we do it all the time! You Just Don’t Like the Dentist – we get it – you just don’t like coming to the dentist. No fears, you just don’t like it, and you want to be sedated. And that’s fine. This is more common than you think. Don’t see your reason on the list? With hundreds of sedations under our belt, chances are, we’ve seen it, and we’ve helped patients like you overcome it! Call us (203) 799 – 2929 or visit this page to request a consult.